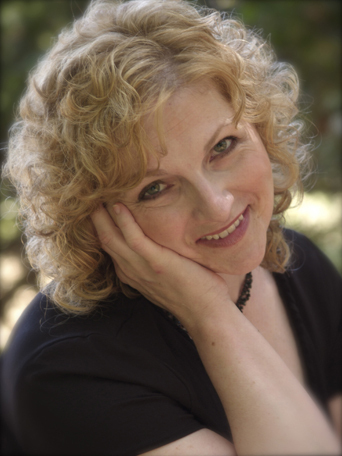 As a wordsmith and one who regularly writes lyrics for classical music, I was curious about Lisa Delan’s Cal Performances’ recital, which was held at First Congregational Church in Berkeley on Tuesday, February 23. The songs sung comprise “The White Election,” a cycle of 32 songs for soprano and piano written by Gordon Getty; the text was from poems by Emily Dickinson written from 1858 to 1884, spanning most of Dickinson’s writing life from the age of 28 to two years before her death at the age of 56. “The White Election” was completed in 1981, the first of a number of vocal works by Getty. Rumor has it that Getty continues to rework the cycle, even though his initial encounter with Dickinson’s poetry was so stimulating that he wrote eight to ten of the first songs within a few days of having read them. It is this narrative quality that dominates Getty’s setting, and it’s one well realized by Delan, with her strong legato and liquid lyric-soprano tone. Even so, no strong melodic line ever holds sway in the songs. The piano, in this case played by Mikhail Pletnev, the pianist, conductor and composer who launched the Russian National Orchestra in 1990, seems to work as a diffident commentator to the narrative line of the songs. Ominous chords appear and repeat. Short tuneful phrases rise like decorative figuring above the chords. Parodies of musical styles (did I hear wisps of a tango in “The Going from a World We Know,” or was it simply a desire for the sensual?) introduce songs and then fade before establishing themselves as a controlling motive. Single notes in the piano’s upper register are hit—now and then. The piano’s notes fall away, allowing silences to reveal the language, which runs forward ceaselessly. In the first half of the program this treatment gives the cycle a monochromatic sound: there are no large dynamics, no attempts to wring more emotion out of Dickinson’s rather distant and repressed world: “I make my parlor orderly/ And lay the marble tea,” even when Dickinson is making a passionate statement: “Inebriate of air am I,/ And debauchee of dew.” Getty’s music perceives and preserves the more fey quality of Dickinson’s poetic world. Once into the second half of the program, where the poet’s later poems reside, the music becomes more emotionally diverse and complex, reflecting the poet’s maturity, when she had begun to throw off the traditional coyness of the 19th-century poetess and allowed more of her own complex emotions to assert themselves. Finally, this was a thought-provoking concert, one that was remarkable in its quiet grace.